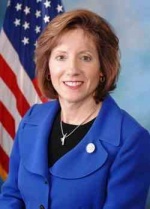 Vicky Hartzler was elected to Congress on Nov. 10, 2010, representing Missouri’s Fourth Congressional District, home to Fort Leonard Wood and Whiteman Air Force Base. She serves on the House Armed Services Committee, House Agriculture Committee, and House Budget Committee, and can be reached online at www.hartzler.house.gov. She also maintains Facebook, Twitter, and YouTube feeds.